No contract. On Demand Service. Full exterior building and property grounds security and damage inspection service. Priority response service means a patrol agent will be dispatched to your property right away and the report will be sent to you as soon as possible. Property check and security inspection report delivered via email immediately upon completion. 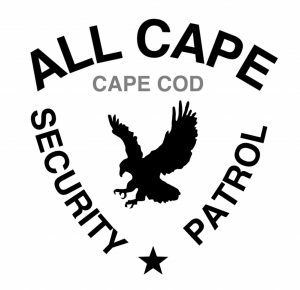 All Cape Security Patrol is a security guard and patrol company, so our reporting and records keeping is unmatched locally. All of our exterior property check patrol services include real time reporting with GPS position tracking, checklists and detailed images of the property delivered immediately to your email right from the property. Optional text message notifications can alert you that we were on the property and that a report has been sent to your email. Security patrol checks/property inspections are full EXTERIOR ONLY security and property condition inspections. This includes the property access, the grounds and the exteriors of all buildings and equipment on the property. If the patrol orders state that this is a priority wellness patrol check, the security agent will also attempt to check on the well being of anyone on the property. 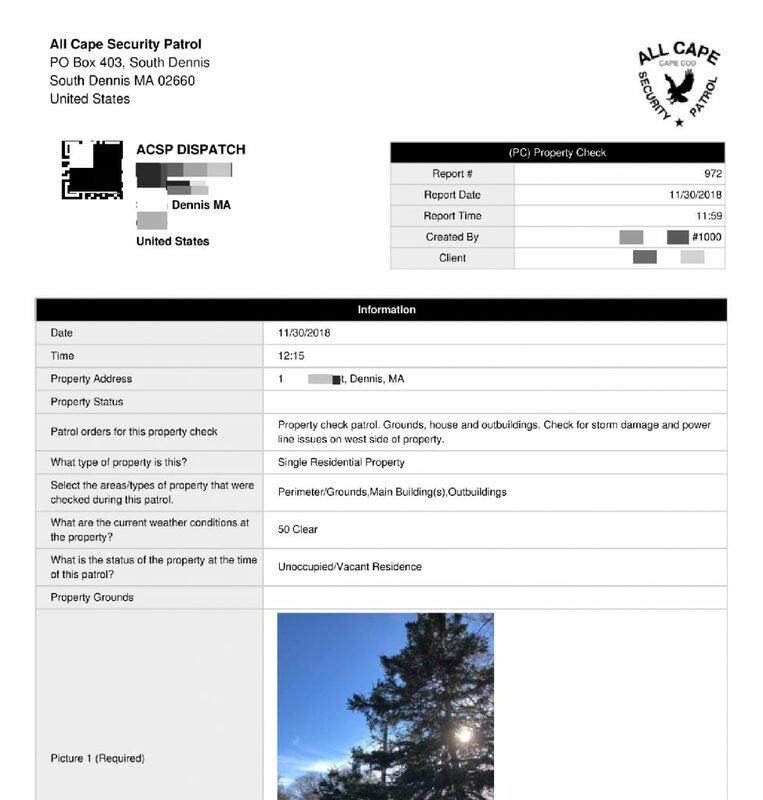 All patrol visits include a full property check report delivered via email. All patrol checks and routes are logged via GPS tracking and each property check report includes a completed checklist and images taken at the property during the patrol for verification of services rendered. On demand property checks are an affordable way for you to have our security patrols check on your Cape Cod property whenever you want without a contract commitment. You can have us check your property after a severe winter storm, after news reports of criminal activity in the area, or for any other reason. Our security patrol units will check on any type of private property. In addition to vacant houses and cottages, we can also check on boats, RVs, heavy equipment, construction sites and more. Just let us know what you need checked. 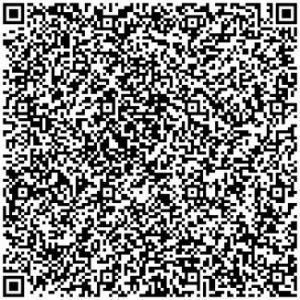 Property check pricing below is for ONE (no contract) exterior property check. For multiple property checks to be conducted at any frequency, over any period of time, please call (774) 383-2030 or email us for rates. 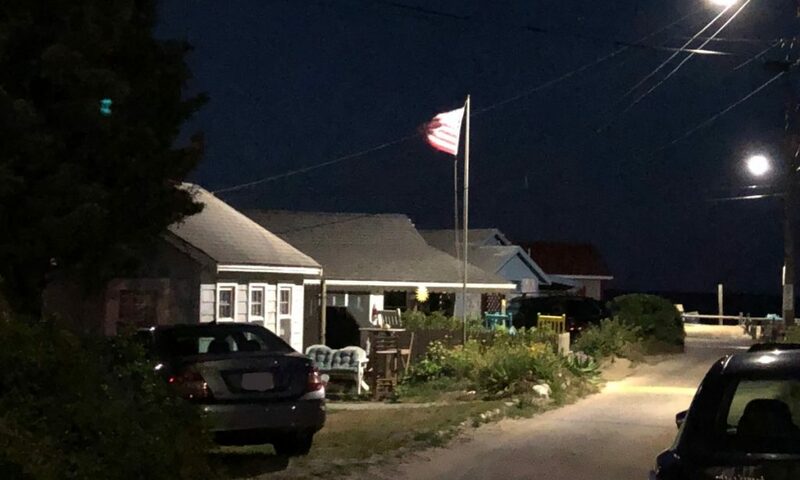 **Online ordering of on demand priority security patrol property check services is available for properties anywhere on Cape Cod. To add your property to a regular security patrol route and schedule for any length of time, please call us at (774) 383-2030. ***Forces beyond our control like severe weather, storms, road and traffic conditions may affect response times.